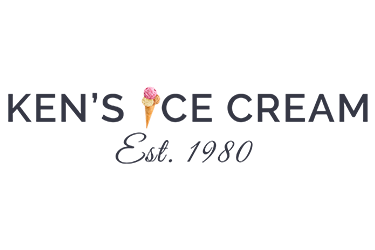 Ken’s Ice Cream Parlor is a long standing, third generation business. They are an award winning parlor with accolades from the President and multiple government officials. We were introduced to the owners through a Carson, CA business chamber. Since opening in 1980, Ken’s lacked a defined color scheme, logo and website. We created a classic logo and website that defined their brand. The website is simple, yet drives sales including catering sales. The “Our Flavors” page on the website is one of our favorite pages we’ve designed. We received a list of the ice cream flavors served and created ice cream cones for each flavor. We also created images for their other desserts: sherbets, milkshakes, cookies and splits.